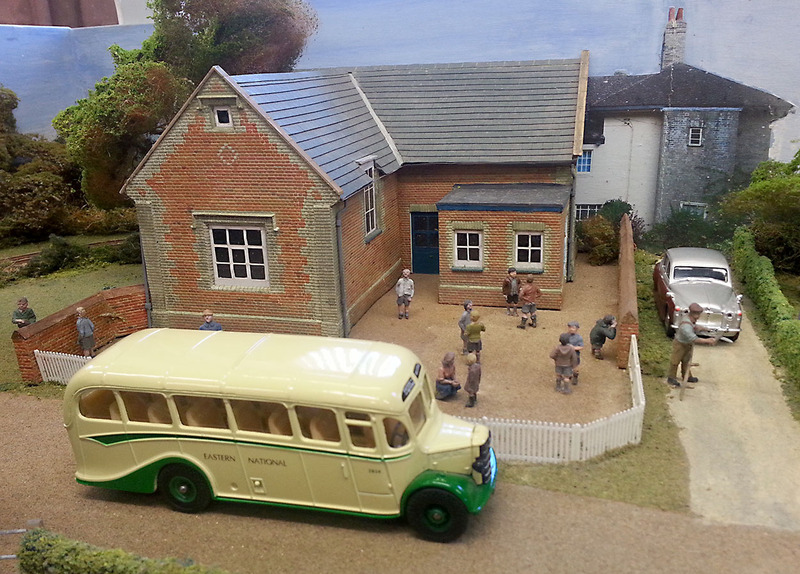 Last Saturday the Norfolk and Suffolk Narrow Gauge Modellers held their 4th Open Day Exhibition in Beccles. 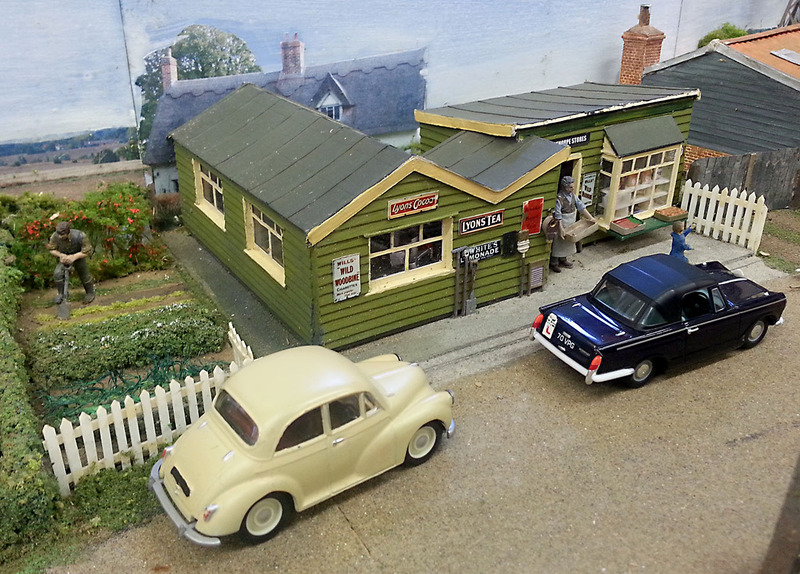 It’s always a excellent exhibition, there was a good selection of layouts and traders and I had a thoroughly good time. Many thanks to the organisers: Richard Doe and the N&SNGM team. I thought I’d show you three layouts that caught my eye and haven’t been featured on this blog before. 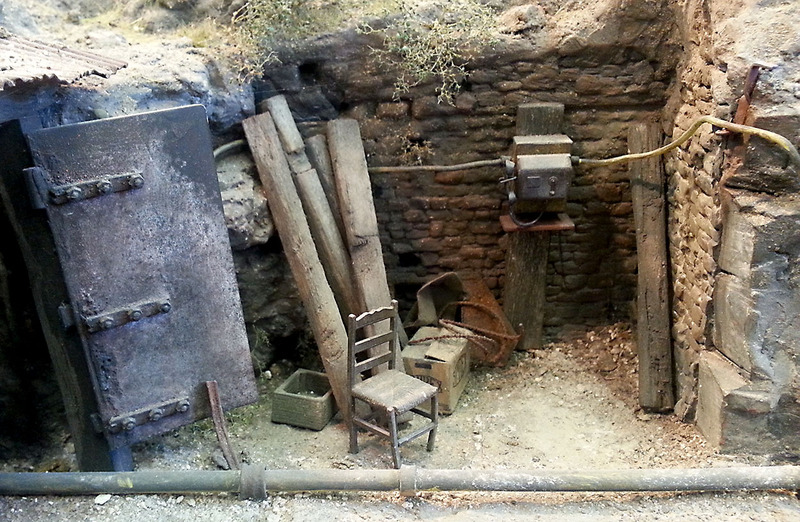 Firstly, Yellow Ridge Uranium Mine a Gn15 (1:24 scale) layout by Nick Wright. 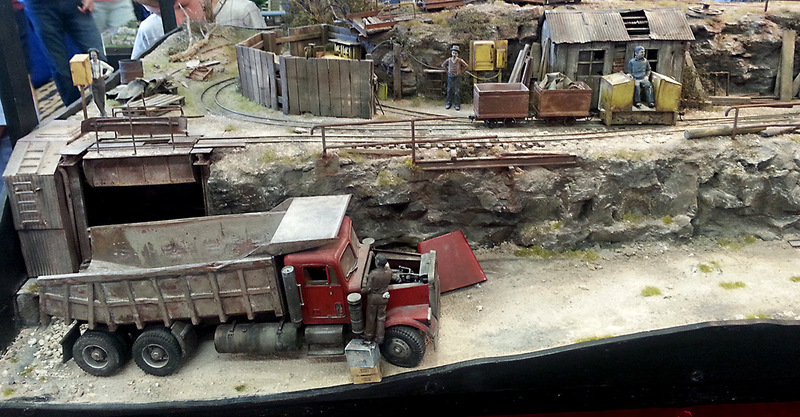 Set in the 1970’s in shows a fictitious Uranium mine somewhere in Canada. Nick really has succeeded in capturing a very run down industrial atmosphere. 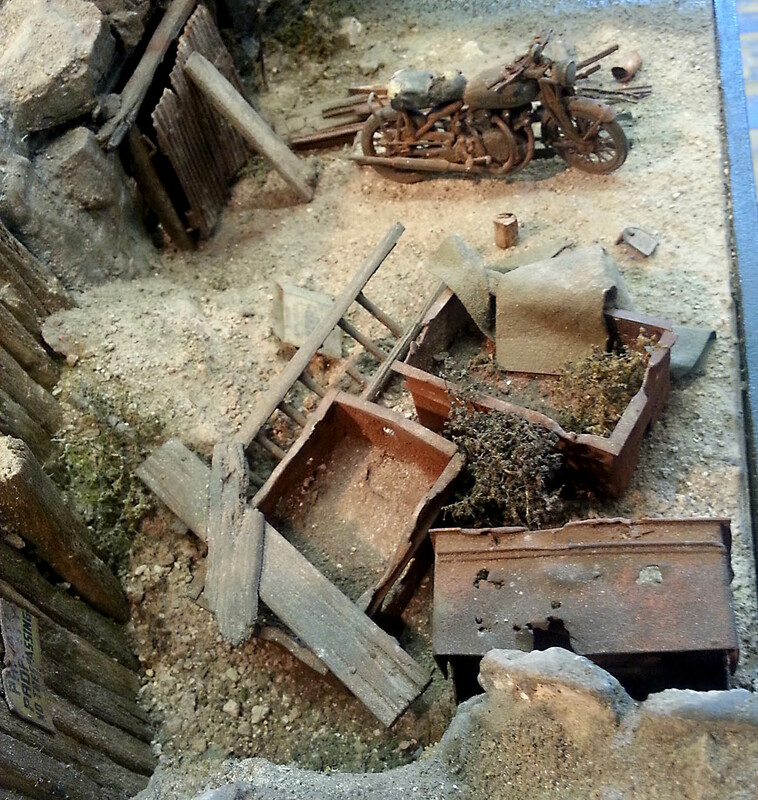 What impressed me most was the level of detail in the layout, and all beautifully weathered. 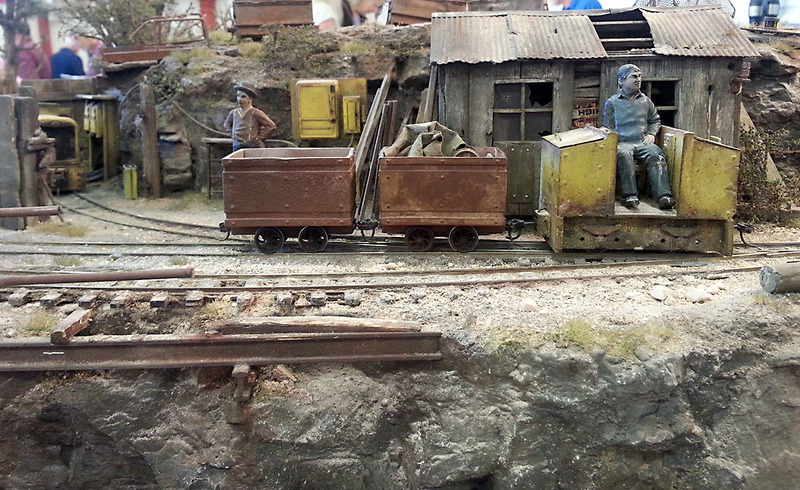 I was really liked the scenery on Gestup St Anne an O-16.5 layout by Derek Reeve. 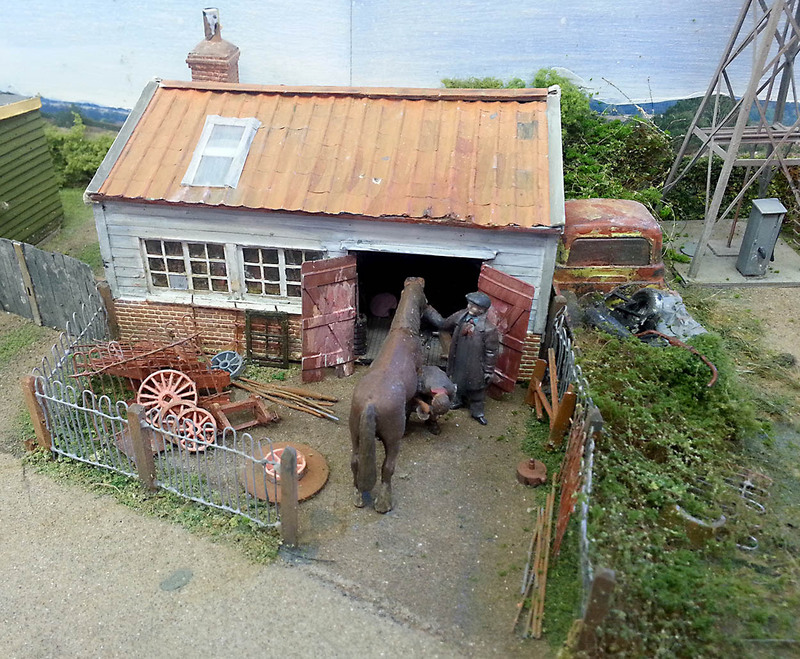 In fact I was so impressed with the scenery I completely forgot to photograph Derek’s rolling stock! Sorry, Derek. 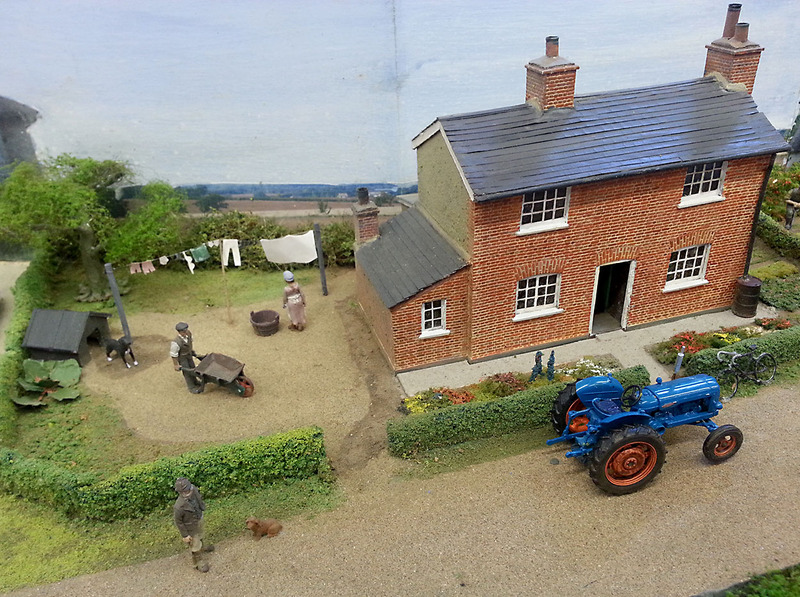 The layout shows the village Derek was born and raised in, Gestingthorpe on the Essex Suffolk border. ‘Gestup’ is the local name for the village. 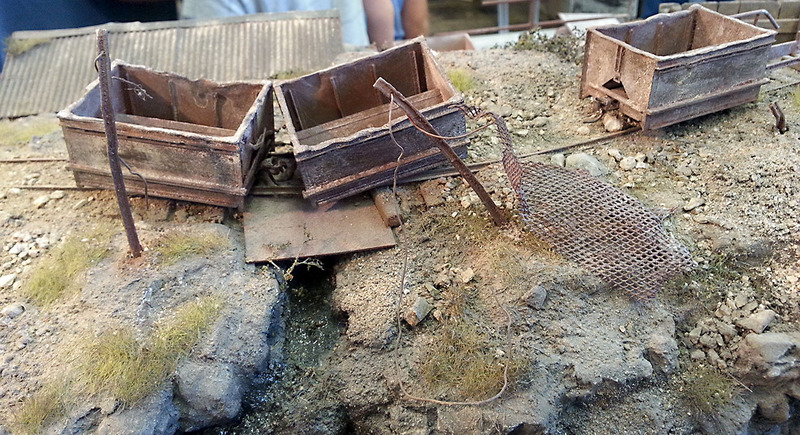 Derek has scratch built all the buildings. Here is the school he attended. The house he lived in. Derek has a good sense of humor. 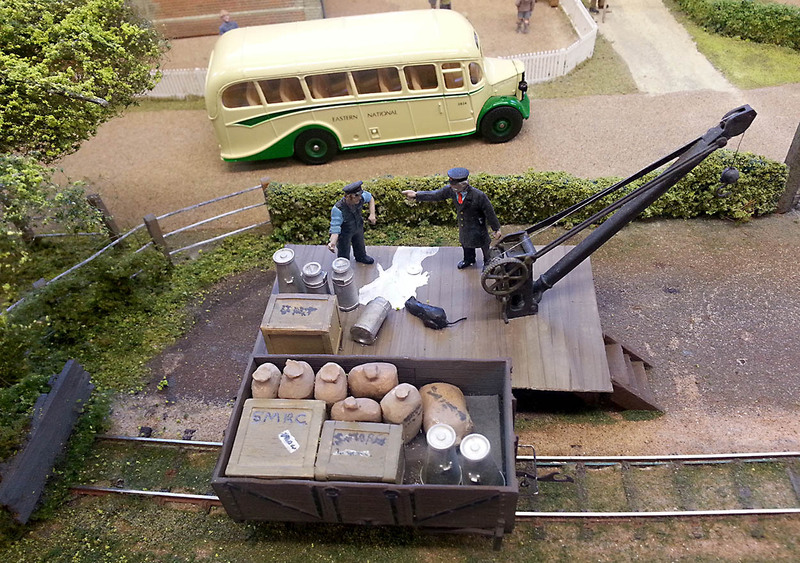 There’s been an accident on the goods platform. Now let’s travel to ‘somewhere in the Alps’ and visit Meanderbahn. Originally built by the late Jack Carter it is now in the care of Brian Meldon. 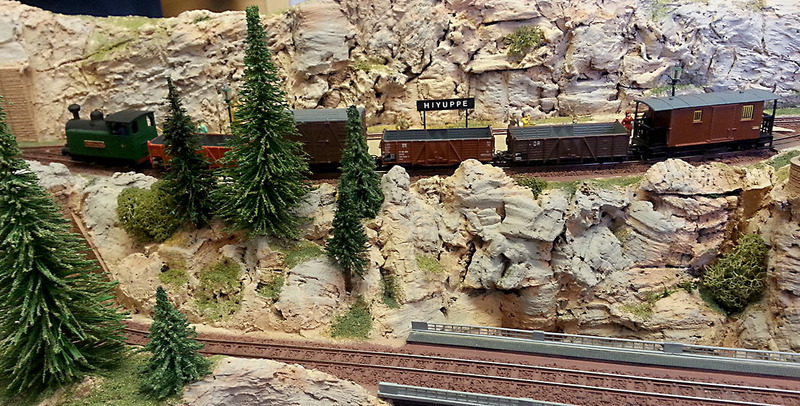 It is very cleverly made, has three passing loops (one hidden under the mountains) and has over 30 feet (9 metres) of track in a very compact space. The layout is run from only one controller. Using isolating sections in each loop the operator can run multiple trains simultaneously. Jack obviously had a sense of humour too. 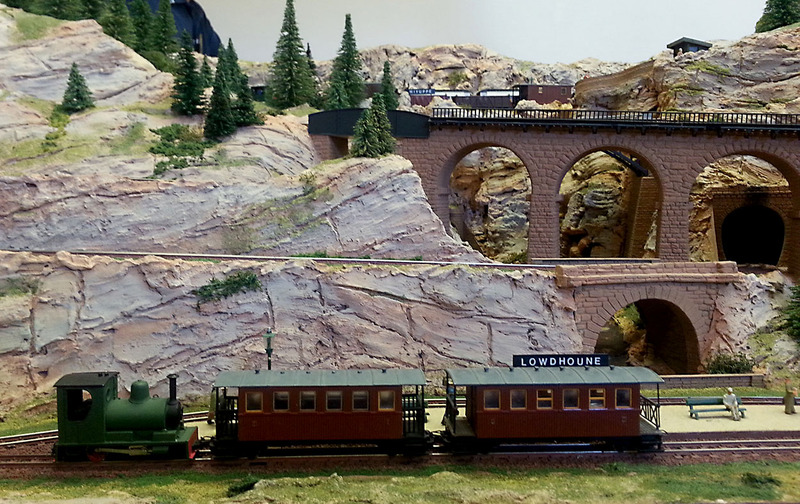 The station at the base of the mountains is called Lowdhoune. The station at the top of the mountian is called Hiyuppe. This type of ‘Rabbit Warren’ layout has fallen out of popularity, which is rather a pity. When done well ‘Rabbit Warrens’ can be very entertaining and I really enjoyed watching Brian operate Meanderbahn. I second the motion for bringing back rabbit warrens.